Intelligent, determined, and hardworking, Williandres “Will” Smith lived a faith-centered life rich in family, learning, and humor. Deeply committed to his family, Will embraced his role as a father with honor and integrity and cherished each moment he shared with his loved ones. With a warrior’s spirit, Will faced the challenges of chronic illness with dignity and determination. In so doing, Will inspired many and will long live in the hearts and memories of those who were blessed to share his life. As war gave way to peace and civil rights became a dramatic force in U.S. history, 1952 marked a period of progress and optimism. With the birth of the Baby Boom generation, the focus was on hard work and affording our children a better life. The middle-class standard of living continued to grow and appeared to have no boundaries; it was a time of much hope. Nowhere was there greater cause to celebrate the possibilities of that hope than in the Detroit home of Williandres and Dorothy (Warrick) Smith, along with their daughter Pamela. They began the new year by welcoming Williandres, Jr. on January 8th or as the family would affectionateley refer to him as Billy. The family moved to Westland where Will and Pamela spent their childhood years. Growing up during the 50s and 60s, Will’s roots were firmly planted in the values of hard work, education, and achievement. The community of Westland possessed a rich history that included significant contributions to the Underground Railroad, automotive manufacturing, and war production. The Smith family attended church regularly and was involved in the greater Detroit metropolitan community. The Smith family home was additionally rooted in intellectual pursuits and academic life. Will’s father worked as a PE (professional engineer) for the federal government, and his mother taught music at Wayne State University. 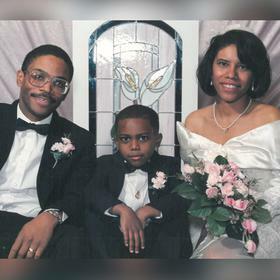 Following their parents, both Will and Pamela attended the prestigious Cass Technical High School, a university preparatory high school in downtown Detroit. As a child, Will was a hard worker in school and around the family home. He loved learning, reading, science, and was active in the Boy Scouts. He also loved to sculpt, draw, and paint, but never considered art as a career for in his words, “he liked to eat.” Despite failing to master the piano as a result of feeling that his two hands couldn’t simultaneously do two different things, Will still enjoyed a childhood rich in music. You could say that music was in the family genes as Will’s mother was related to Dionne Warwick. 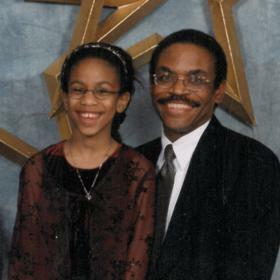 For years, Will participated in formal singing and music lessons. He enjoyed singing with family, with friends, and in the church choir. His favorite music was The Motown Sound that exploded out of Detroit beginning in the late 50s and early 60s. He also enjoyed gospel, blues, jazz, soul and classical music. At the age of 11, after many years of suffering chronic and painful illness, Will was officially diagnosed with Sickle Cell Anemia. With inherent fortitude, Will battled the complex illness with courage and determination. As the disease involves intense pain management and vulnerability to related illnesses, Will's continued accomplishments throughout his life are nothing short of awe-inspiring. Regardless of the daunting obstacles, Will determined to live each day fully and refused to let anything hold him back. He was very athletic and interested in sports. He especially loved baseball, teaching himself to play with a stick and rock. He participated in track and set the long jump record in elementary school. He even played football until high school when he saw how much bigger the guys on the football team were. After high school, Will attended Wayne State University, where he joined the fencing team while pursuing a Bachelor’s degree in Chemistry. Will even tried out for the 1972 US Olympic fencing team. Will worked as an Automotive Engineer for Chrysler and later for Ford. Will and his father enjoyed the fact that both of their names could be found in the Society of Automotive Engineers Directory. Despite the challenges and rewards of working in the auto industry, Will soon realized that the career was not a good fit for him and he returned to school in pursuit of an MBA in Computer and Information Systems. 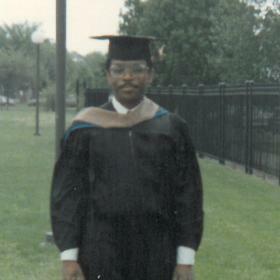 While acquiring his MBA, Will worked for various small computer companies before landing a job at Microsoft where he earned awards for his work as a Systems Engineer, and where he continued to work until his retirement. Will had the good fortune of becoming friends and study partners with Ola when working on his MBA at University of Detroit Mercy. His GPA was nearly 4.0 and he helped Ola achieve a 4.0 GPA with his knack for figuring out the expectations of professors. 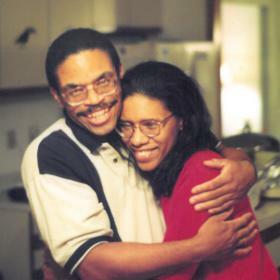 While sharing their academic pursuits, Will and Ola fell in love. Will also fell for Ola’s three-year-old son Vincent, sharing a special bond very quickly. Will and Ola married three years later, and Will embraced Vincent as his own. Later, Will and Ola experienced the joy of welcoming their daughter Jennifer into the family. Without a doubt, Will’s greatest joy was his family. He was truly honored to be Vincent's and Jennifer’s father. Over the years, Will and Vincent came to share a mutual love of humor, and the telling of immensely corny jokes just to torture their family members. Will shared his love of music with his children and encouraged Jennifer in piano, in spite of having never learned to play it himself. Through the powerful bond of their children, Will and Ola’s friendship and devotion to their family was never compromised by their divorce, and the two remained close until his death. Will had many interests. Throughout his life, from the time he was a small child, Will loved to read and collected everything that he read. His collection was vast, and covered everything from Science Theory Papers and Tech Manuals in the subjects of Art, Computers, and Math, to Tom Clancy, Agatha Christie, and African-American history. Will had a penchant for collecting things that caught his eye, and he loved watching TV. He especially enjoyed documentaries and old movies. “Dr. Who,” “Cool Hand Luke,” and the “Die Hard” series were favorites. Will enjoyed a good meal especially if it included fish, rice and salad. As an avid gardener, Will successfully planted and harvested blueberries and strawberries, but his joy was in tending his flowers. Will was a great listener and enjoyed good conversation. Will also loved animals. A devoted Christian, Will consciously endeavored to embody the values of his faith. Will loved unconditionally, practiced forgiveness, encouraged peace, and remained humble. His heart was a safe place for others to simply be and his efforts to live life in service of others were evident. Clearly, Will’s sudden departure has left many with a sense of uncertainty and sadness. May it afford deep comfort to know that with each corny joke shared, favorite song delighted in, good book read, and beautiful flower appreciated, that we continue to share his wonderful legacy in our own daily lives. 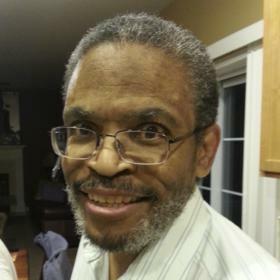 Williandres “Will” Smith, of Kalamazoo, was born in Detroit on January 8, 1952, to Williandres and Dorothy (Warrick) Smith and passed away unexpectedly August 11, 2017 at his home, due to complications from Sickle Cell Anemia. He is survived by his two children, Vincent (Karen) and Jennifer, his ex-wife and dear friend Ola Marie Smith, his sister Pamela Warrick Smith, step-brother Michael (Cathy) Carey, step-sister Charlotte Carey, many nieces and nephews, aunts, uncles, and cousins; his 2 cats: Midnight and Hunter and dog, Logan. He was preceded in death by his parents and his dog, Link. A Home-Going Memorial Gathering will be held from 4:00 – 6:00 pm at the Betzler Life Story Funeral Home; 6080 Stadium Drive, Kalamazoo, MI followed by a Time of Sharing, at 6:00 pm at the funeral home in the Life Story Center. Please visit his personal webpage at betzlerfuneralhome.com where you can sign his guest book, leave a memory or share photos. Memorial donations may be made to the Sickle Cell Disease Association of America – Michigan Chapter.